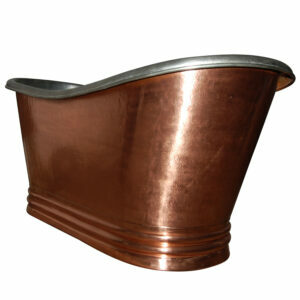 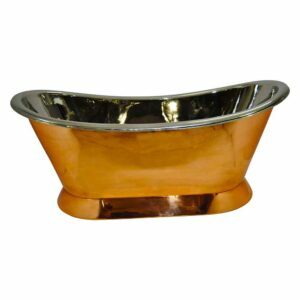 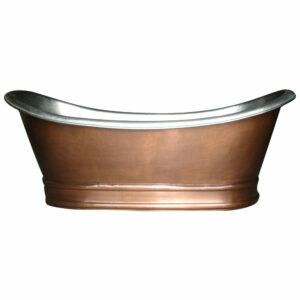 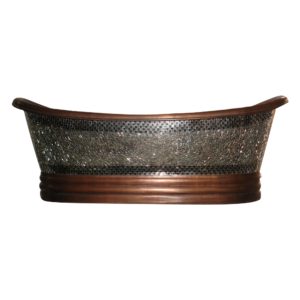 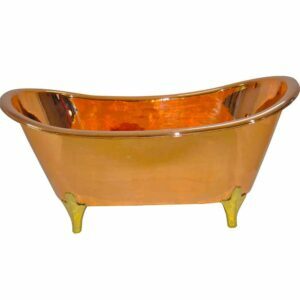 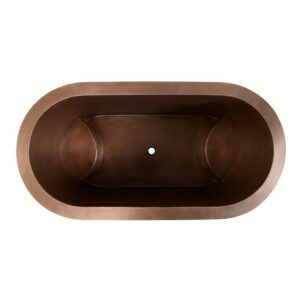 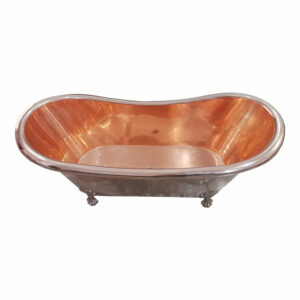 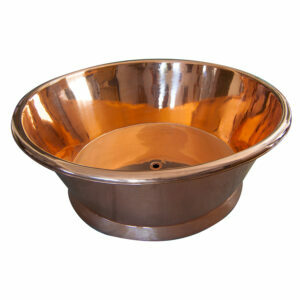 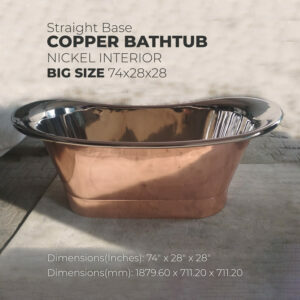 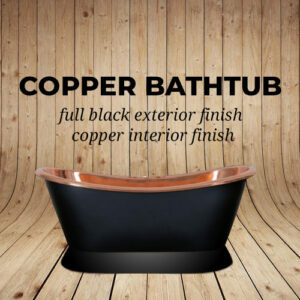 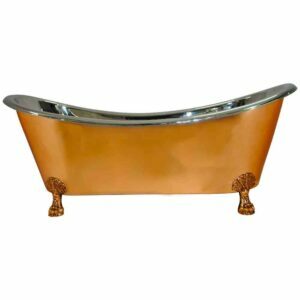 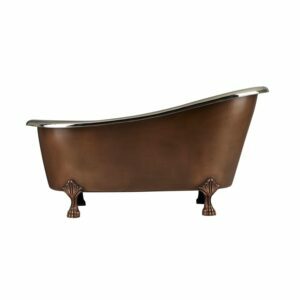 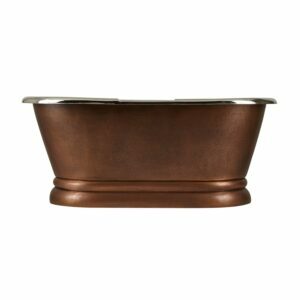 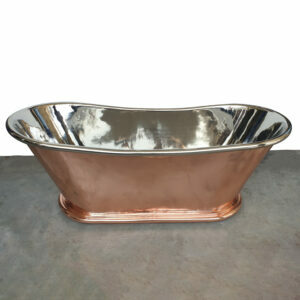 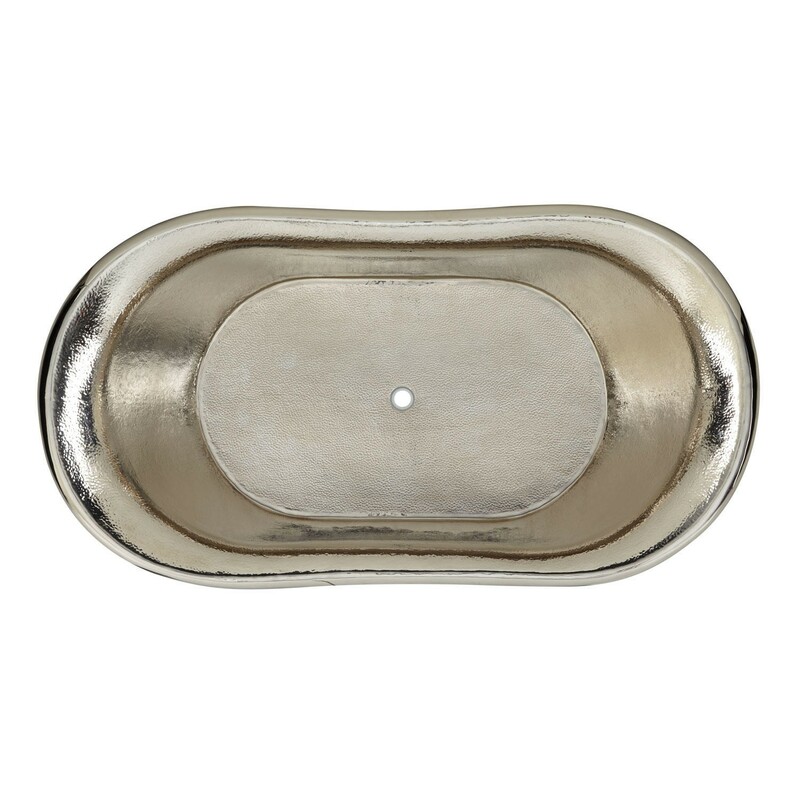 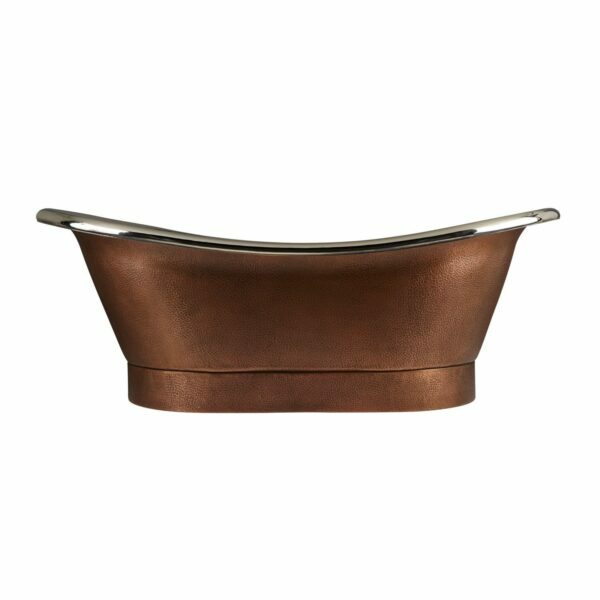 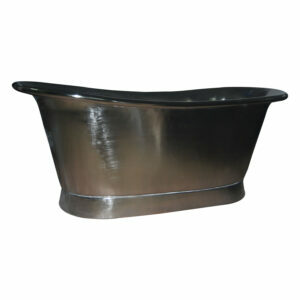 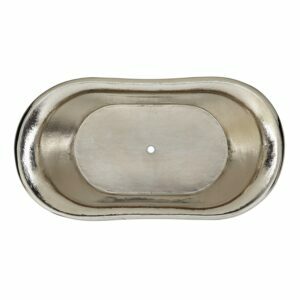 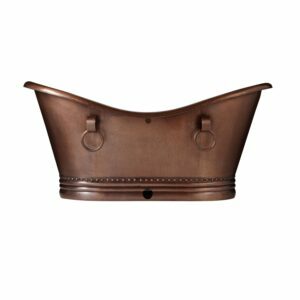 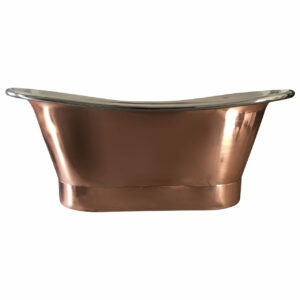 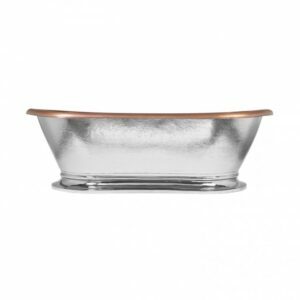 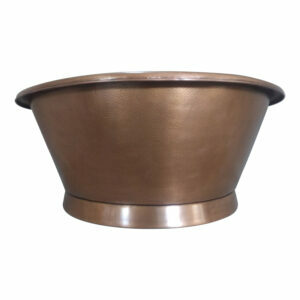 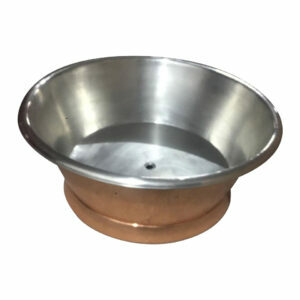 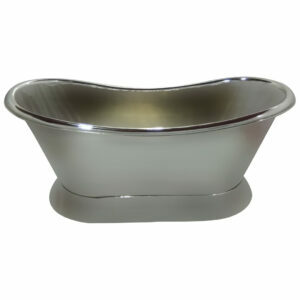 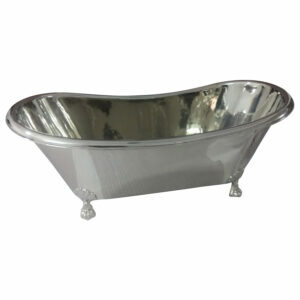 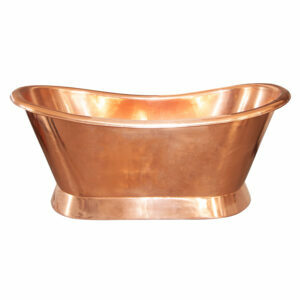 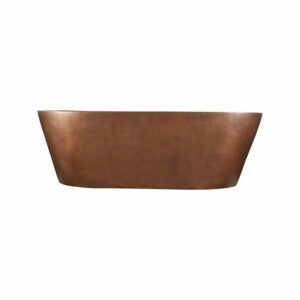 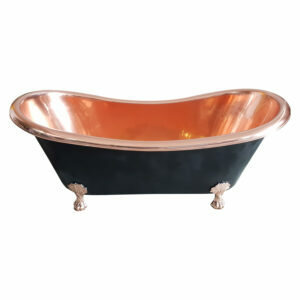 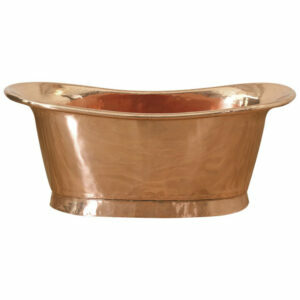 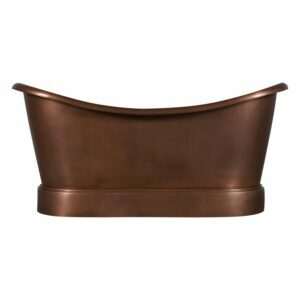 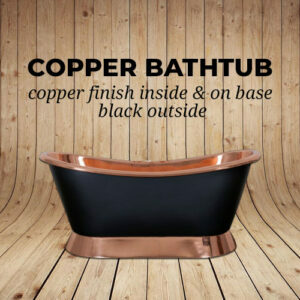 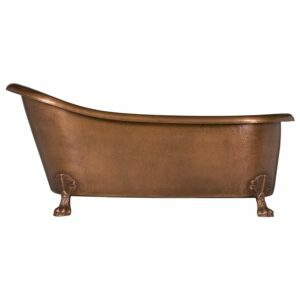 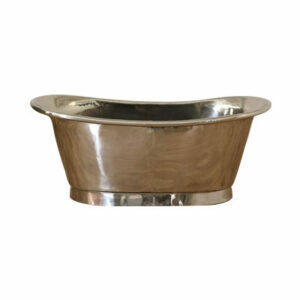 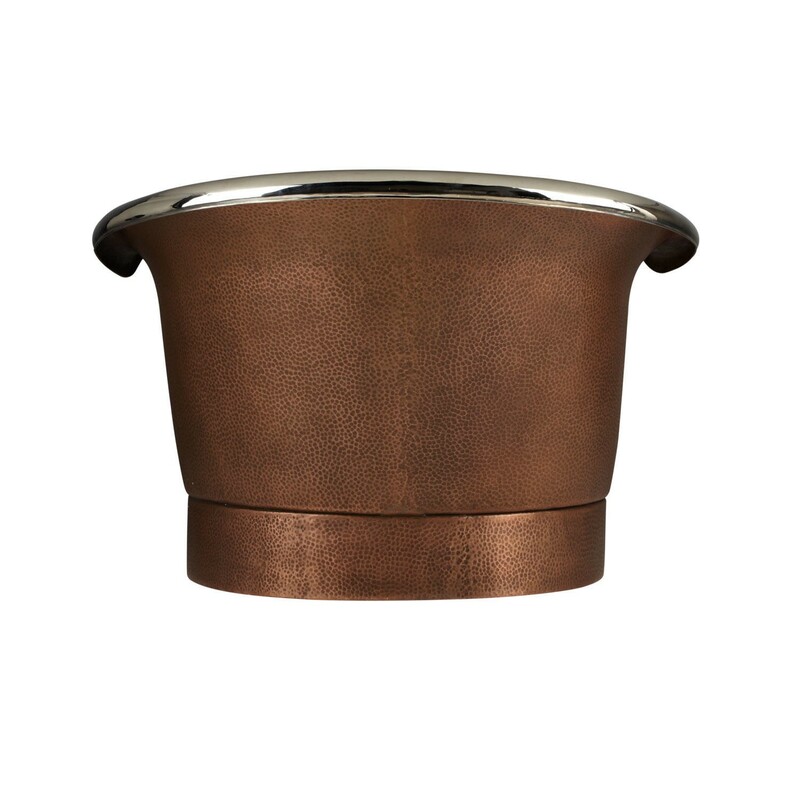 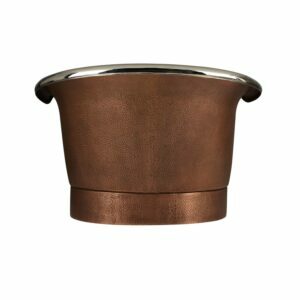 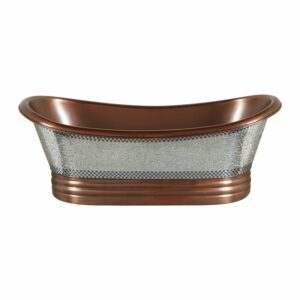 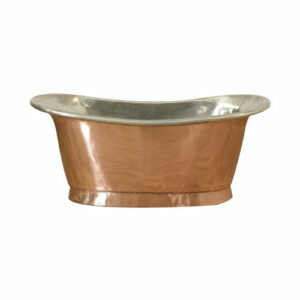 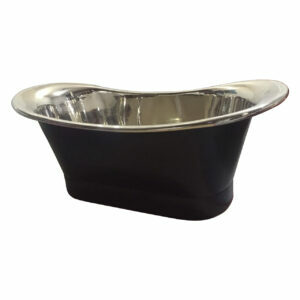 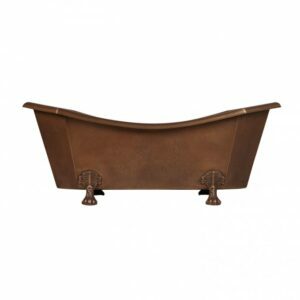 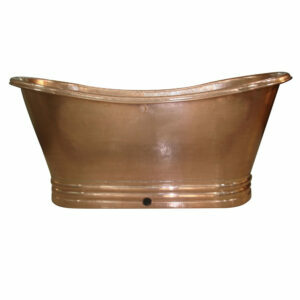 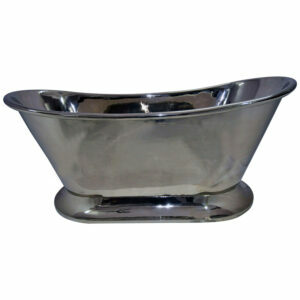 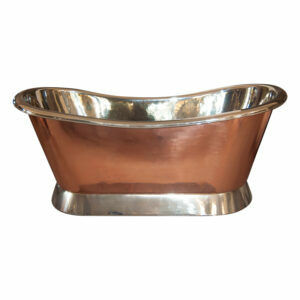 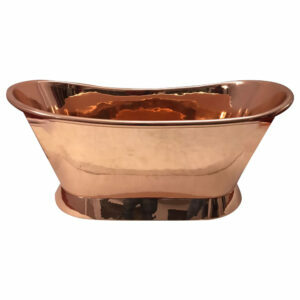 Perfect for soaking, the 78″ Extra Wide Hammered Double Slipper Nickel Interior Copper Tub features an integrated plinth, a hand-hammered surface and a beautiful Nickel-plated interior. 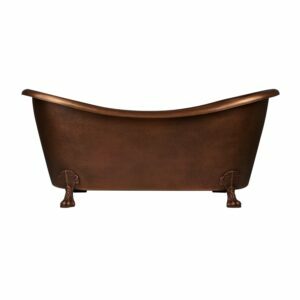 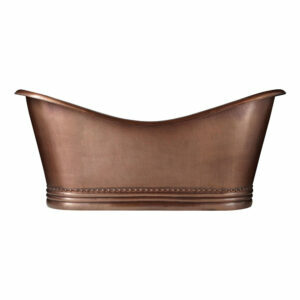 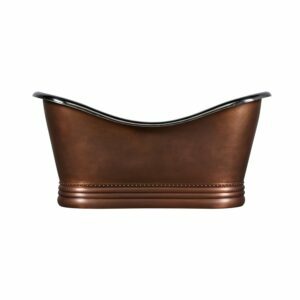 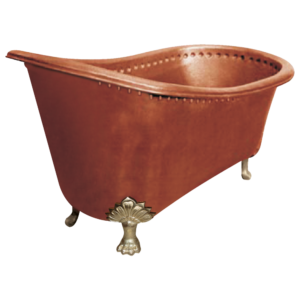 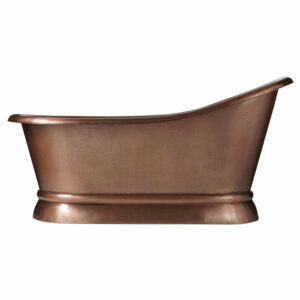 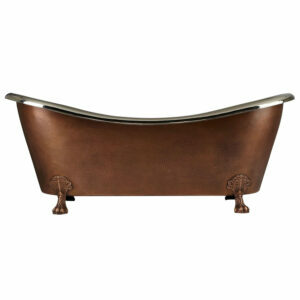 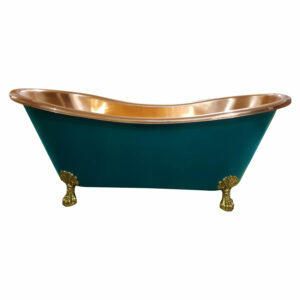 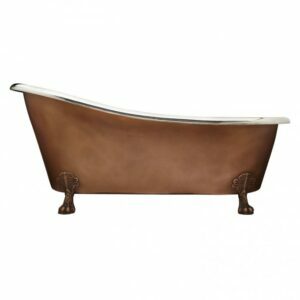 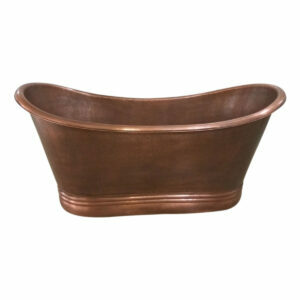 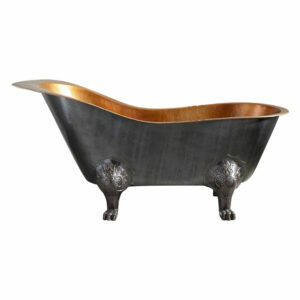 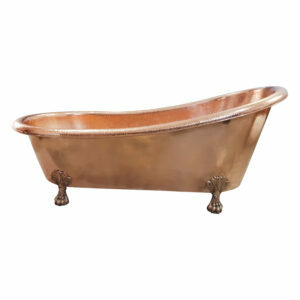 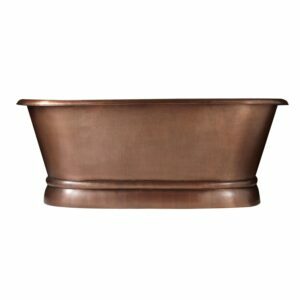 The handsome patina on this spacious tub is applied using French hot process with a hand-polished finish. 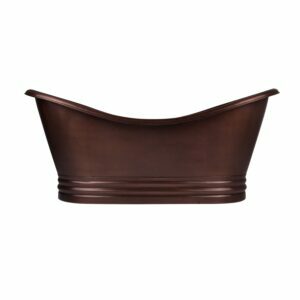 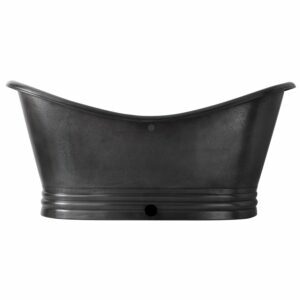 Dimensions:77-3/4″ L x 44-3/4″ W (front to back) x 27-3/4″ H (± 1″). 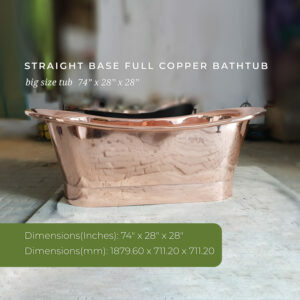 Note: Due to its size, this tub may require 3 – 4 people to lift.